LRGA biedriem ir 10% atlaide no mācību maksas. IAI biedriem ir 10% atlaide no mācību maksas. 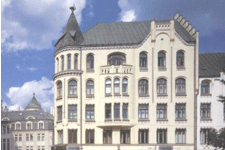 Seminar venue: Riga, 10/12 Meistaru Street, office 301. Seminar Lecturer: Juan Ramirez is a senior professional at Deloitte in London, advising banks on IFRS 9 and Basel III/IV issues. 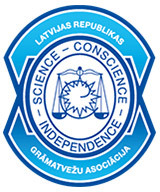 Registration for the seminar by the address: 10, Meistaru street, Riga, office 302. Phones: +371 67211577, +371 29423381. Training and Consultancy Centre "Securities" already work for 20 years. Total amount of students are 15000 people. "...I have just finished a course on Financial management. The program is very interesting. It will be useful for economists that deal with budgeting, analysis...."
The personnel of these companies were trained on our programms and workshops in Training and Consultancy Centre "Securities".